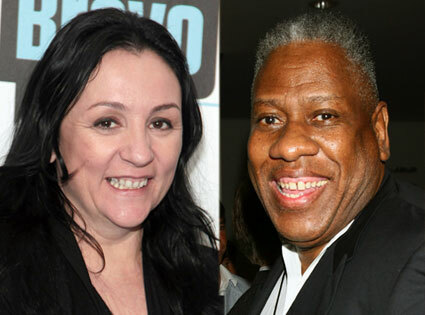 Both Andre Leon Talley and Kelly Cutrone don’t look like they belong on the catwalk, but thanks to their high-profile gigs in the fashion world, they are able to land gigs that put them in a position to judge people that are hotter than they are. It has been confirmed that Vogue editor-at-large Andre Leon Talley, will not be reprising his role as one of the judges on Tyra Banks’ hit show America’s Next Top Model. PR guru, Kelly Cutrone, will replace Talley. Apparently, the split was amicable, with Talley commenting that being on the show was “a great ride and “one of the best moments of my life”. It is going to be very interesting to watch how Cutrone’s abrupt and aggressive nature syncs with the other cast members. The reality show veteran who was featured on MTV’s hit The Hills, which led to her own now defunct vehicle Kell on Earth, has been known to not hold her tongue or back down from any confrontation. As unexpected as this choice may seem, it does make sense considering the respectability factor associated with the People’s Revolution founder and the fact that she obviously has an impeccable record in the fashion industry. We can’ wait to see how she peppers the upcoming season! The 18th season of ANTM will be back next year. And with Cutrone onboard, it’s definitely not going to be a snooze fest!